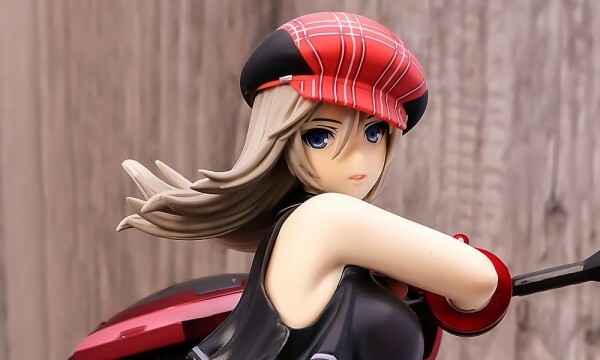 Alter is going to release the sporty figure rendition of Charlotte Dunois from the popular anime, Infinite Stratos. Figure comes with interchangeable hair and facial expressions. Slated for March 2012 and will retail for ¥5,800. Here comes our lovely Charlotte Dunois from popular Anime title “IS ” as a jersey dressed ver. figure! Her posing sitting on a cushion makes her look very cute! Her smile is very cute but she also comes with a optional part with angry expression which makes her look even more cuter! Optional opened hair ver. hair part is included in the set and you can create your own favorite Charoltte!